Can The Huffington Post, a web site founded as a liberal answer to The Drudge Report, win over millions of Trump voters? 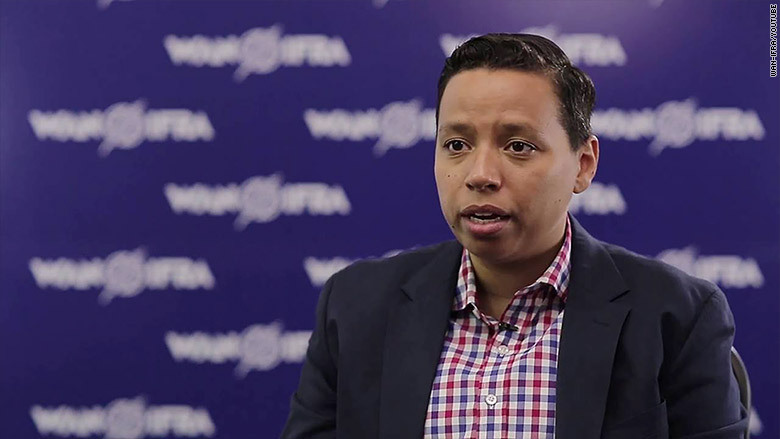 New editor-in-chief Lydia Polgreen believes that it can. So it is starting to try. Polgreen wants the site to "become a voice for people who feel that the fundamental political and economic power arrangements are unfair." That, she says, "includes a lot of people who voted for Donald Trump." This reorientation will involve new hires and some restructuring. Polgreen is just getting started — she became editor one month ago, taking over for Arianna Huffington, who co-founded the site in 2005 and was its top editor until last September. Polgreen knows there's curiosity and some trepidation about what HuffPost will be now that its namesake is no longer in charge. "This is definitely not going to be the PolgreenPost," she says. In an interview with CNNMoney, her first about the future of the site, Polgreen passionately described opportunities to cover the Trump age. Trump's election "wasn't the only thing, but it was the last deciding push that led me to walk away from a nearly 15-year career at The New York Times, and kind of jump into a whole new world," she said. "I feel a sense of mission and conviction about rushing forward to meet this moment." Huffington Post's new editor-in-chief Lydia Polgreen. Until December, Polgreen was editorial director for The New York Times Global. She was previously a foreign correspondent with postings in South Africa and India among other locales. The Huffington Post, with a newsroom of roughly 250 people, is much smaller than The Times, but has a huge online footprint. It also has international spin-offs, a video section and a large number of unpaid contributors. But Polgreen's primary task is in the Manhattan and Washington newsrooms, forging a new identity for the site. Huffington's exit left a void. (Huffington is now running a startup called Thrive Global.) Polgreen said she has been "incredibly gracious and welcoming," but the two women have only met once, suggesting a clean break by Huffington. Polgreen foreshadowed changes in a memo to staffers last month. "When Arianna Huffington founded HuffPost in 2005, it was an answer to the Drudge Report and a bulwark against an ascendant Republican president beginning his second term," she wrote. "Today, we live in very different times. The old ideological dividing lines seem irrelevant and inimical to our journalistic mission. The question we must ask ourselves is this: Who are we for?" Liberal and conservative labels have become scrambled, in her view. "I see us as fundamentally representing the ordinary people anywhere in the world who feel that the game is rigged; that the deck is stacked against them; who feel that the house always wins," she said in the interview. She harkened back to the days of the "classic tabloid that everybody from the janitor to the CEO would read" and said she sees an opportunity for HuffPost to occupy a similar space in the media world. During a recent panel discussion at Harvard, Polgreen elaborated on this point, identifying the famously cantankerous Chicago columnist Mike Royko, who died in 1997, as an example of a journalist who had a "real deep connection to people who felt disenfranchised from the establishments of power." Related: What's ahead for a post-Arianna Huffington Post? "Who's the Mike Royko of the gig economy today?" she asked. "Chances are it would be a woman. Perhaps it would be a person of color. But I think that journalism needs to rediscover its roots as a blue-collar profession, and find a way to get back in touch with empathic storytelling." One open question is whether HuffPost can do that. Another question is whether web surfers — like the Obama voters turned Trump voters who Polgreen cited at Harvard — will give the site a chance. HuffPost originally categorized Trump's campaign as "entertainment," placing many of its stories about him in the entertainment section. Once Huffington and her deputies took Trump more seriously, the site started attaching an editor's note to all stories about Trump, calling the candidate a racist and a xenophobe. That warning label was retired before Polgreen accepted the editor job. When asked about it, she said, "I can understand the feelings and motivations that were behind the decision to do that under previous management. I personally feel that that actually does a disservice to the reader; I much prefer to present our stories and let the readers make up their minds." Polgreen reports to CEO Jared Grusd, and both executives face the same challenge as countless other publishers: Finding new ways to boost traffic while dealing with a difficult digital advertising marketplace. But there is no talk about trying a subscription model a la The Times. 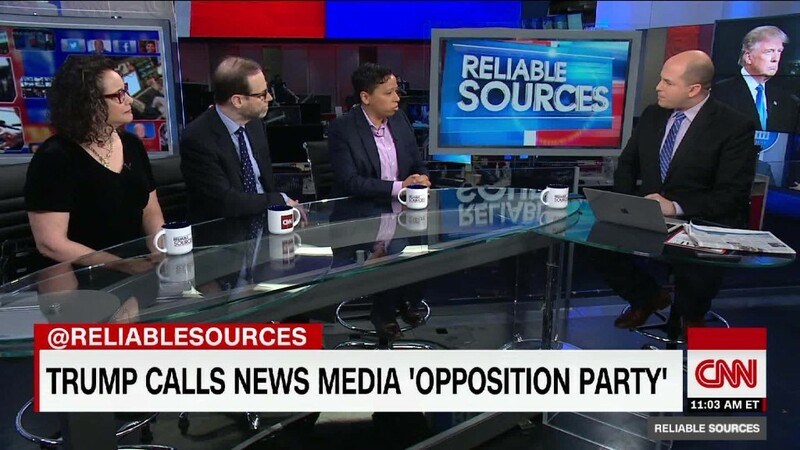 "I think it's really clear that the Huffington Post is a mass market media play," Polgreen said. She said HuffPost has "real destination power," meaning millions of people still seek out its home page, even as social media distribution of stories becomes more and more important. Last week one of the site's home page splashes showed the Statue of Liberty turned upside down with the headline "DISCRIMINATION NATION." A site with a point of view? Definitely. But at the same time, Polgreen emphasized the importance of listening to others' views. "The anger and frustration among ordinary people, not just in the United States but around the globe, is palpable," she wrote in the internal memo. "We must listen with empathy and openness to our audience, and invite those who are not in our audience to engage with us, to guide our journalism. That is how we can build a deep relationship based on mutual trust and understanding. It is how we get beyond our filter bubbles and serve everyone."